I've been meaning to take Hannah to one of the various kid-specific activities offered at the various art museums in Baltimore and finally got around to doing so on Saturday morning. We took Hannah to the Walters Art Museum to participate in the Free Family Festival of Discovery. I didn't realize that they have a whole floor devoted to kids with a play house, loads of blocks and puzzles, puppets, a reading area, and two studios. Hannah loved all the toys, especially the house and would have been content to just sit and play with the toys for the entire time, but we pulled her into the studios to try out the projects. At 11:00 we found seats in the theater to listen to Rhythm and Rhymes for Wise Young Minds by Jali-D, a drummer. Personally, I loved it. I think he's fantastic and would have like to have seen the whole show, but Hannah grew bored after about 20 minutes and said "leave now." So we left. It's just as well since I still wanted to see what was happening in the rest of the museum and we were creeping up on lunch time by this time. 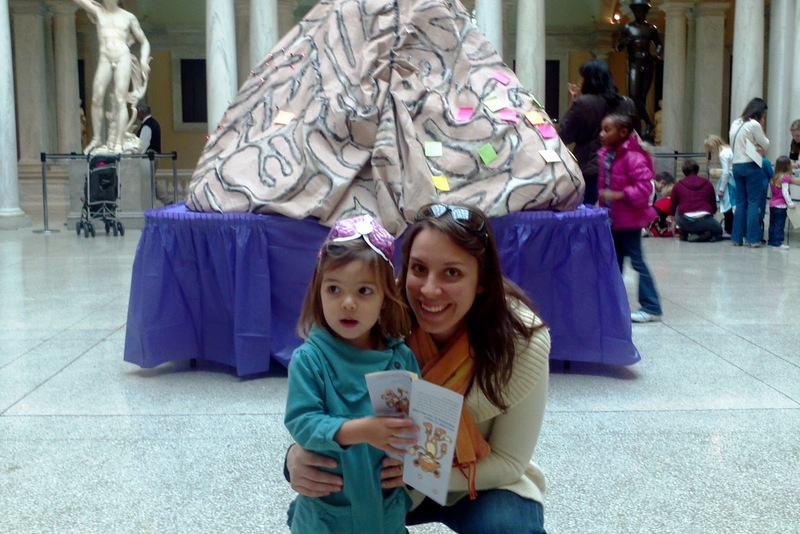 We skipped most of the other art projects choosing instead to just look at all the sculptures (Hannah's favorite), but we did end up doing a hide-and-seek activity because that was the only way to get this really cool brain hat that Hannah wanted. She's wearing it in the pic below, but you can't see it very well because of the glare...And that's a big brain we're standing in front of. Hannah colored on a sticky note and then stuck it to the brain. I'm not sure what the point of that activity was...Probably would have been lost on a 2-year-old anyway. 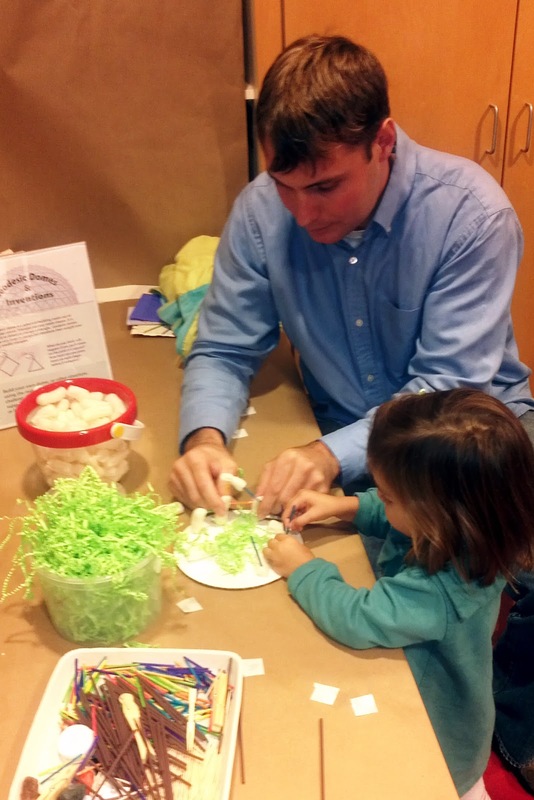 I now know that the Walters has drop-in art activities for families every Saturday and Sunday from 10:00-3:00 so hopefully we'll make it there on a more regular basis. Happy 2nd Birthday to Clay!